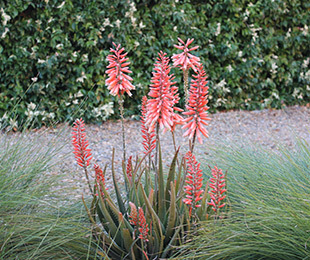 Description: Mighty Coral™ Aloe is a semi-compact Aloe succulent. 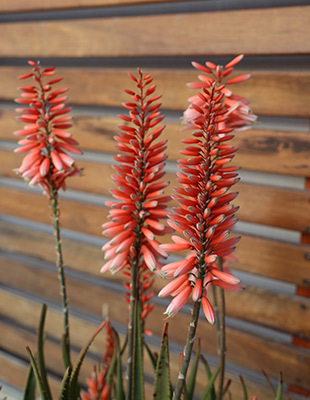 It has multi-stemmed orange and cream flower heads in early to mid winter, that look like coral pink from a distance. Size: 35cm high x 40cm wide foliage; 60cm high flowers. 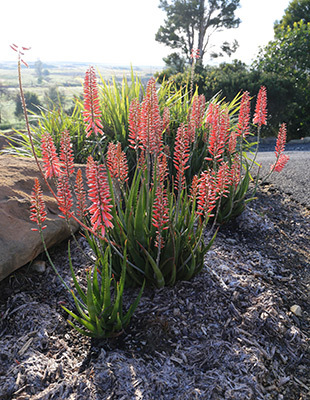 Uses: Mass planting, borders and as a feature plant.